Back by popular demand – reposting this blog so that you can be ready for spring time! So you want to replace your FRONT DOOR, but you don’t know where to start. Below are 5 EASY STEPS that will help you get an accurate quote for your replacement door! Take the time to research what you like and what’s available before finalizing a budget. 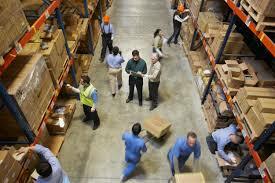 Below, you will find information that will help you get an accurate quote from your supplier! When measuring the door size, the term “door size” refers to the width of your front entry door. 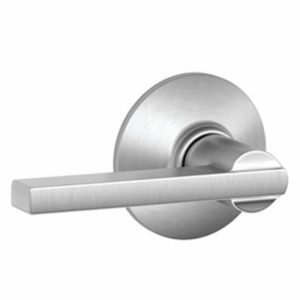 The most common entry door is a 36-inch entry door. A wide 42-inch entry door or 5-foot double entry doors (two 30 x 80 exterior doors paired up to provide a larger opening) are also popular. Larger openings offer easier wheelchair access and furniture moving and can also make a statement in your entry way. 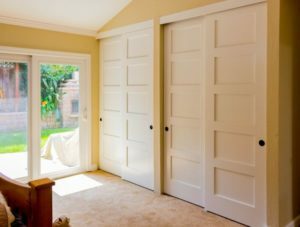 Most doors come in a standard height of 80 inches (6 feet, 8 inches). 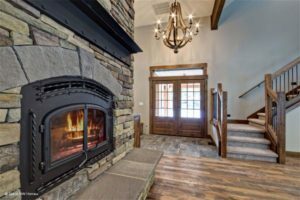 When builder supply companies ask, “What configuration do you want?” they are asking if you want a single front door or double front door, and whether you want decorative sidelights or an overhead transom. Sidelights are the panels that flank and accentuate a front door. 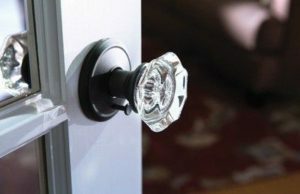 Sidelights can be glass, wood or fiberglass, and can be opaque for privacy or not. 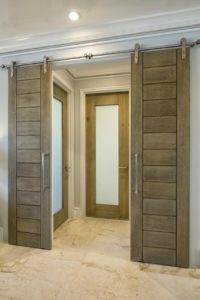 Entry doors with sidelights can transform an ordinary entry into an entry way that looks unique. A transom is made from decorative glass inserts that are installed above the door to fill your entryway with natural light. Front entry doors can be constructed of many different materials, from the wood to newer UPVC and fiber glass models. Choosing the right material, especially on exterior facing doors / front entryway, is critical for the longevity and appearance of the door. 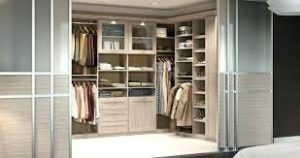 Solid Core Wooden Doors – Solid core wooden doors are heavily constructed doors made from whole bits of timber. These doors are most commonly used as front entrance doors or where soundproofing, insulation or security are a priority. 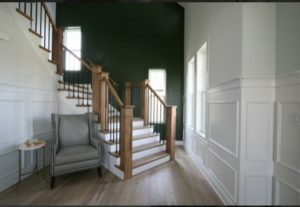 Wood species such as Pine, Fir, Knotty Alder, Poplar, Mahogany, Cherry, Knotty Pine, Maple, Oak (White and Red), Bamboo, Birch, Wire-Brushed Clear Pine, Wire-Brushed Douglas Fir, Hickory, Red Oak, Wire-Brushed Red Oak, Select Alder, Walnut, Wire-Brushed White Oak and more allow for a broad range of choices. 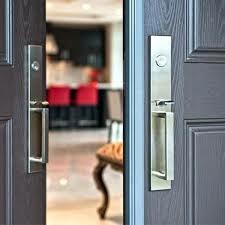 Aluminum Doors – Aluminum is a lightweight, strong, durable and affordable material. Aluminum is used to construct security doors and garage doors. Note: aluminum is a poor insulator and conducts heat easily. Steel Doors – Steel is the toughest material on the market and offers excellent security. Steel is commonly used in the construction of front and exterior doors, screen doors and grilles. Fiberglass Doors – Fiberglass doors offer excellent strength, waterproofing, soundproofing and insulation. 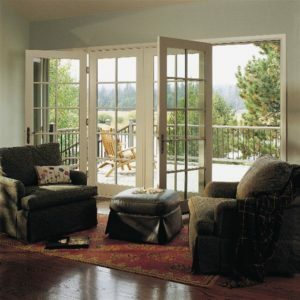 Glass Doors – Glass doors are beautiful to look at and offer natural light to enhance a home’s interior. 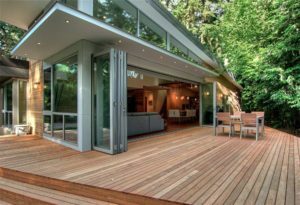 Commonly used as an entry to an outdoor living space, a patio or enclosed sun room, glass doors are making their way into kitchens, recreational rooms, offices and more to give off a larger and more spacious interior area. 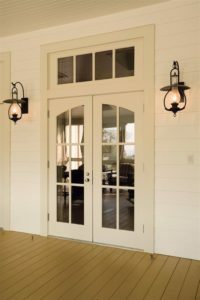 Leadlight Doors / Stained Glass Doors – Lead lighting and stained glass can be expensive, but they can add a tremendous amount to a home in terms of character visual appeal. UPC or Vinyl Doors – UPVC can be used to construct solid, lightweight doors, but it’s more commonly used as a strong, cost effective framing material for things like glass doors. 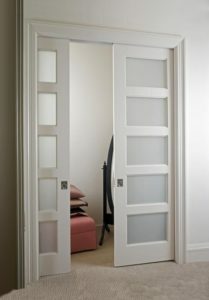 Mirrored Doors – Appearing almost exclusively as sliding wardrobe doors, mirrored doors help create the illusion of more space in bedrooms. 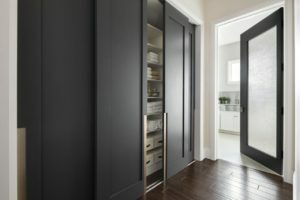 Hollow Core Doors – Cheaper and more lightweight than solid core doors, hollow core doors are often used for interior doors including closets and pantry doors to keep costs down. A “flush” front entry door’s surface is flat from top to bottom. 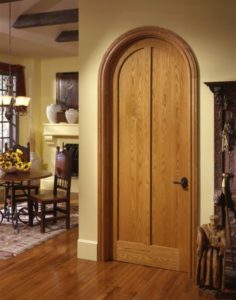 A “paneled” door is one that has molded patterns that can take the shape of squares, rectangles or arches. These molded patterns are usually removed when glass is inserted into the door. 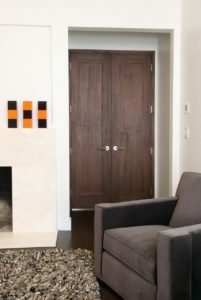 The enhancements can give the paneled door–and your entire entryway–a more elegant, refined and sophisticated look. Front entry doors typically come in two surface types: smooth and textured. This is true for wooden doors as well as the more durable fiberglass models. The guideline for both is simple: if you want to paint the entry door, choose one with a smooth surface. Painting lets you accent or highlight the door with bright bold colors or the softer, more subdued tones that are currently in vogue. If you want a more natural look that brings out the grain or lines, choose a textured entry door that you can stain. 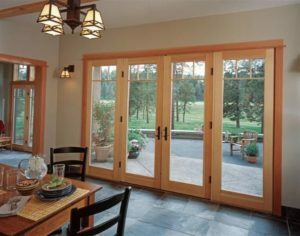 Door manufacturers have identified five main front door “styles,” all of which are available at Tree Court Builders Supply. Choose a style for your front door that complements the design of your home and adds curb appeal. Your front entry door can represent you or your family’s personality. If you are more traditional, you may opt for a classic wood paneled door. Or if you are more artistic, you may include decorative glass elements. Because every house and homeowner is different, picking a front door that suits you and your home is important. 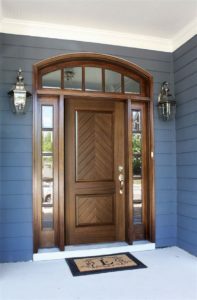 Traditional / Classic Warm, welcoming and familiar, classic style entry doors are a huge favorite of homeowners in older, more well-established neighborhoods, and anyone who wants to refresh (but not drastically change) their entryway’s aesthetic. Craftsman Usually one piece and characterized by square edges, sharp lines and a fine vertical grain, Craftsman Style Front Doors often feature an elegant ornamental shelf called a “dentil” that’s missing from most other door styles. 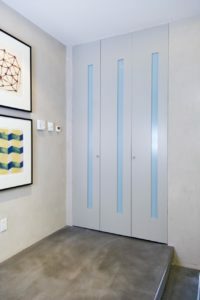 Contemporary / Modern With their smooth, flush surface and simple unpretentious design, Contemporary Entry Doors are stylish, trendy and expressive. 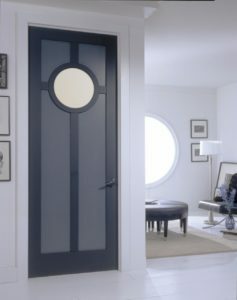 Contemporary Entry Doors don’t have panels and are typically painted in an eye-catching color or hue. 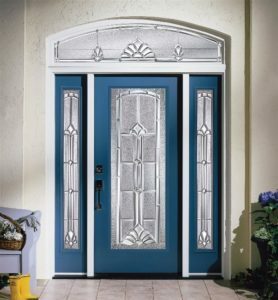 Decorative What makes an entry door “decorative” is the addition of ornamental metal grilles, beautiful glass panels–or both–which combine to give your door an alluring, sophisticated look and an extra measure of security. Rustic With their distinctive, handcrafted-by-artisans look, rustic style front doors give your entryway an air of old-world charm that best complements Tuscan, Southwestern or European-country architecture. 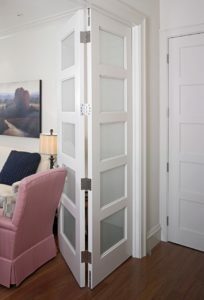 When choosing a detailed decorative glass door style, there are many options that you can choose from. Aside from iron inserts and the frame that holds it, you will have to determine what type of glass you would like to use. 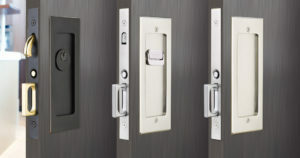 After choosing glass inserts, you will want to choose a door color. 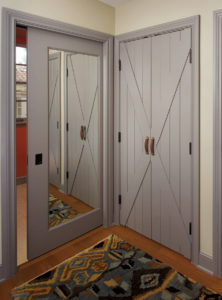 Natural wood grains, paint on a smoother surface and texture are all considerations when choosing your door color. 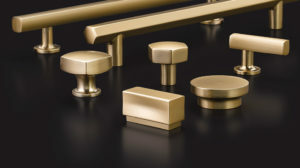 Lastly, selecting the type of hardware for your front entry door can be one of the best experiences because there are so many options to choose from. 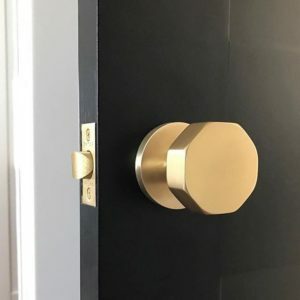 Check back soon for other blog posts that detail types of door glass inserts, how to choose a door color and selecting hardware for your new front door! Call us at 636-225-7717 with questions or a FREE quote today! Feeling all this and more at our new location at 10750 Baur Boulevard in Creve Coeur. 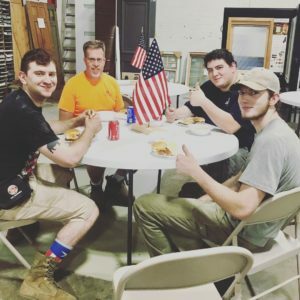 In thinking about the past three years, it is quite fitting to reflect on all the GOOD things we have experienced as new owners of Tree Court Builders Supply. 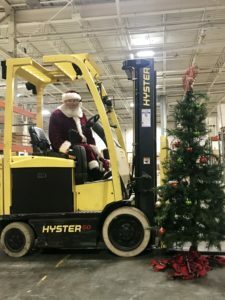 Even after experiencing two historic floods, a double renovation of administrative offices and showroom, and a move from a 50,000 square foot building to a 78,000 square foot distribution center, our hearts are increasingly grateful for the opportunities and blessings that come each day. We are most grateful for you, our loyal customers and suppliers who support us day in and day out. We appreciate the opportunity to serve our industry and community and we are thankful for our Tree Court family, who without all, we would be nothing. To kick of 2019, we are excited about unveiling an expanded showroom – 3 x the size of the previous – with visual representation of all product lines and increased displays and an added meeting space for client collaboration! Our efforts to build upon a great business continues to focus on the mission of serving employees and customers to the best of our ability. We look forward to partnerships with you. Our business is our passion. Our relationships are gifts. What GOOD things we build, end up building us. We truly thank you for being the GOOD in our lives. Wishing you a blessed holiday season with your loved ones! Replacing your windows or doors requires a plan that includes developing a budget with a specific dollar amount for unforseen emergencies. Although we all hope that every project goes smoothly, there are times when unexpected structural damage impacts the natural flow of a project, resulting in delays, and subsequently and increase in labor costs. When this happens, no one is happy. A good warranty can help alleviate frustration and this post can help you understand the ins and outs of warranties. Do an assessment – during an initial visit, a product representative or installer should inspect your current windows and patio doors and identify potential challenges that you as a purchaser may face on installation day. This assessment helps to determine the scope of the project and in turn, the product rep or installer can estimate an accurate price. 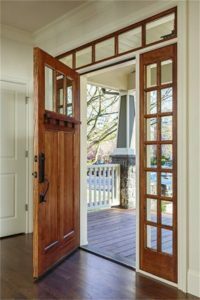 Permits – when replacing your exterior doors and windows, the city of St. Louis actually has guidelines in place for building permits to protect your home against harsh elements. Work with your installer to get the proper paperwork up front so that you don’t find yourself experiencing delays on the back end of your project. Use Visuals – when describing the vision for your new windows or patio doors, it pays to use pictures to send your message across properly. Visuals would help you express your ideas and ensure you’re on the same page with your contractor. Tree Court Builders Supply offers an Idea Center showcasing images of windows and doors for this very purpose. And once you pick out something you like, simply call our customer service representatives to help you identify brand, product number and size. Think Outside of the Box – one of the most common mistakes of homeowners when buying replacement products, is choosing the same thing. New technologies can enhance your home’s comfort and energy levels. If you replace your units with the same materials, then you won’t be making any improvements. This is why you should plan for replacement units with remarkable energy-efficient features and minimal upkeep requirements to truly save money. WHO Does the Warranty Protect? 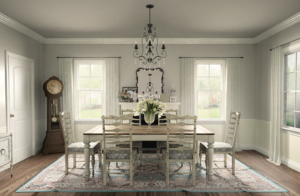 One of the biggest misconceptions about window warranties, and warranties for any product for that matter, is they are designed to protect the purchaser of the product. The reality is that most warranties for every product made is ultimately written to protect the company that makes the product. Think about it, who writes the warranties? The manufacturer. However, this doesn’t mean a warranty isn’t useful or beneficial to the customer when a product arrives damaged or faulty. 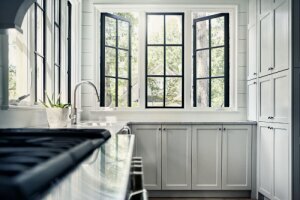 Most people think about a general replacement window warranty in three broad strokes; how long does it last, what is covered for how long, and, the ability to transfer the window warranty in the event the home is sold. 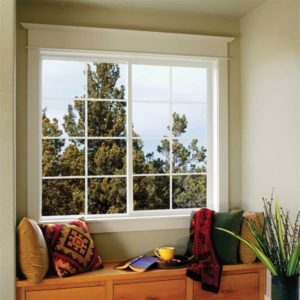 Lifetime or Limited – most window warranties describe length of time one of two ways; lifetime or limited lifetime. Either doesn’t necessarily mean “forever,” but the word “limited” should definitely set the alarm bells off and encourage research. Be mindful that what is “limited” in a warranty can often be the very thing a warranty might be needed for. The Concept of Proration – have you seen a warranty that reads “to the effect of X being covered for the first 20 years, Y for the next 10 years, and Z for the next 5 years?” This is called a prorated warranty. 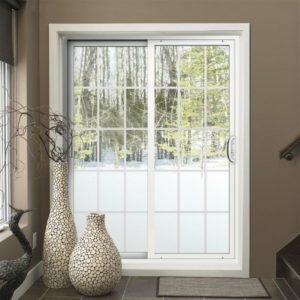 Prorated replacement window warranties define how long the manufacturer thinks each part of the window will last. In short, the warranty itself expires after X, Y and Z years. Warranty Transferability – warranty transferability becomes important at the sale of a home. Conferring the benefits of the warranty to the next homeowner has a value. Similarly to proration, a manufacturer changing the original time period of the warranty after transfer, or even worse not allowing a transfer at all, communicates their concern about the performance longevity of their product. Words – how many times have you fully read through the “terms and conditions” on a website before you clicked “I understand?” The main reason you probably haven’t is because you don’t have the time, nor the knowledge of all the legalese, to go through the whole thing. Same idea with window warranties. The best replacement window warranties are the shortest, and the ones easiest for you to understand. The Fine Print – the way to quickly review the typical replacement window warranty for these types of things is to look for the fine print. Often times one finds out about the restrictions of a “limited” warranty when they get to the fine print. Prorated time definitions? The fine print. More text and harder to understand? The fine print. Fine print is the easiest way to hide the most negative things about the warranty because the authors assume you’ll never really read the whole thing until you need it. SO WHAT DOES A GREAT REPLACEMENT WINDOW WARRANTY LOOK LIKE?